A new study shows the powerful effect of animal mascots— especially when people believe the animals are sad. Remember how Smokey the Bear explained that only you could prevent forest fires? It turns out he wasn’t just imparting sage advice to America’s youth; he was also tapping into an influential part of psychology—enough to affect our behavior. Kent Messer, a behavioral economist at the University of Delaware, was interested in studying the effectiveness of what he calls “nudges”—nonfinancial incentives that can sway people to choose better options for the environment. 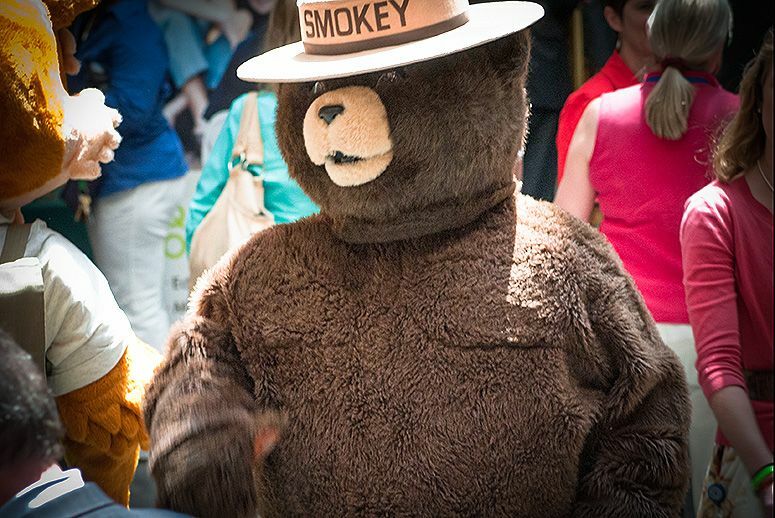 He decided to research if mascots like Smokey are an effective way to change behaviors when it comes to pollution. For the experiment, Messer teamed up with environmental organization Rare, which uses mascots in several of its campaigns. He ran a simulation on his undergraduate students, who played a game in which they were the owners of a factory near a stream. jacob fooks, Kent Messer, Mascots, Rare.org, Smokey the Bear, YoUDee. Bookmark.